1. Festival of Sail: The 2011 Festival of Sail, hosted by the Maritime Museum of San Diego, will transform the North Embarcadero into a nautical theme park. 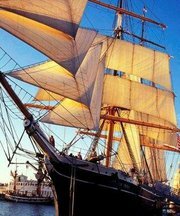 More than twenty tall ships and other fascinating vessels from around the world will visit San Diego, September 2-5. The festival kicks off with a majestic parade of tall ships on San Diego Bay, Thursday, September 1. Parade begins at 11:00 am and can be seen from the Embarcadero, Harbor Island, Shelter Island and Coronado. 2. 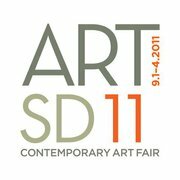 ART SAN DIEGO Contemporary Art Fair: More than 60 leading galleries from the US, Canada, Europe, Latin America and Asia will be taking part in showing works by more than 500 artists. In addition t the gallery booths, special features include contemporary furniture design, solo-artist exhibitions, viedo-based works, performances, art in public spaces, and a lounge inspired by noted Architect Jennifer Luce. Fair runs from September 1-5 at the Hilton San Diego Bayfront Hotel. 3. 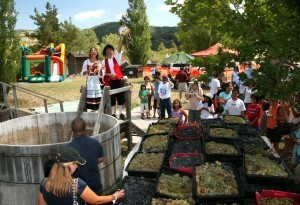 Julian Grape Stomp Festa: On September 3rd, Menghini Winery in Julian will celebrate the harvest of its grapes with a real, Old World-style grape stomp and festa. Three tons of grapes will be distributed between two giant barrels, one for adults and one for kids. There will also be live music, food vendors and beer and wine samples. 4. San Diego Zoo’s Nighttime Zoo: Here’s your last chance to catch the animals during the Zoo’s extended hours. The extended hours give guests more time to visit the more than 4,500 rare and endangered animals at the Zoo. Nighttime Zoo is open from 9:00 am until 9:00 pm through September 5. 5. The Old Globe Theatre’s Summer Shakespeare Festival: Go back in time and see the dynamic Shakespeare productions performed nightly in the outdoor Lowell Davies Festival Theatre. 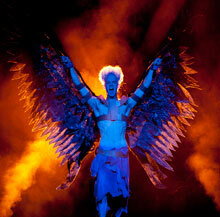 Playing this weekend are Much Ado About Nothing, The Tempest and Amadeus. This entry was posted in Arts & Culture, Attractions, Insider Tips, San Diego Events and tagged art, east county, embarcadero, Julian, live music, maritime museum, museum, old globe, sailing, san diego zoo, theatre by Suzzanne. Bookmark the permalink. My family and I will be at the San Diego Zoo’s Nighttime Zoo Celebration!